Kids are great. They're wide-eyed miracles of life that can breathe new hope into this world. 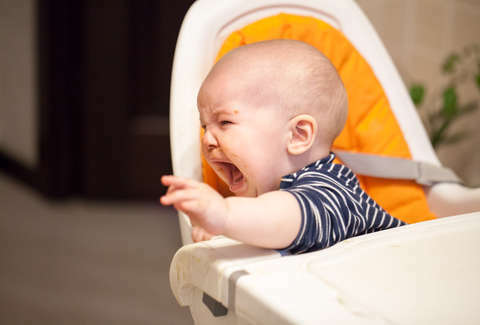 However, they can also occasionally turn public dining situations into a hellish nightmare by shrieking, crying, and knocking things over with abandon while their parents look on as if causing such a scene is totally fine and normal. And while mannerless children certainly aren't the biggest threat to society these days, it seems that keeping them out of certain restaurants may not be the worst business decision, as one establishment learned recently when its popularity surged after it banned people under 14 years-old from eating there after 5pm. Oma’s Küche (aka "Grandma's Kitchen"), located on the island of Rügen in Germany, decided to implement the no-kids policy after growing fed up with annoying children who made a complete mess and ruckus as their parents carried on unfazed. "We have somehow reached that point where you say: This just can't go on like this," owner Rudolf Markl told the DPA News Agency, according to Munchies. He simply couldn't carry on as kids were knocking over wine glasses and messing with decor inside the establishment as the adults that brought them in "acknowledge it with a smile, keep on eating, and don't care at all." Of course, some might think that straight-up banning kids from restaurants is absurd and perhaps even illegal (in fact, Oma’s Küche's new policy may actually violate a German law that prohibits age discrimination). However, Markl insists that this new initiative is directed more at negligent parents, and that he's already seen a positive response from many visitors, who're delighted to finally be able to dine in an "oasis of peace." There are plenty of places where kids should understandably be off-limits (bars, adults-only resorts, casinos, etc), but Oma's Küche's joins a growing number of regular ol' restaurants in places like Australia, North Carolina, and Florida that have also started outlawing children, per Munchies. Maybe if parents could just stick to a few simple dining-out rules, we wouldn't be in this situation.